Hey everyone! The latest and one of the greatest things in the young adult community is definitely the movie adaptation of To All the Boys I’ve Loved Before. I’m a little late to the hype train, but if you haven’t watched this movie, you definitely need to join the bandwagon. It’s entertaining and beautifully done, and I think so many aspects of it are just fantastic. I definitely need to do a reread of the series (it’s been a while since my first time through), but I really hope that Netflix decides to continue with the series and adapt the sequel(s). In any case, since I know that many of you have probably already seen (or plan to see) the masterpiece that is TATBILB, I thought it would be fun to share some recommendations based on my favorite tropes and aspects of the movie. One of the things that (of course) makes To All the Boys I’ve Loved Before so fabulous and hilarious is the fake relationship. I am personally trash for this trope (I love reading/watching it play out) and The Proposal is no exception to this rule. 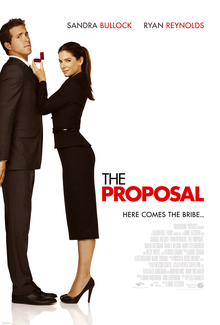 In The Proposal, they actually fake an entire wedding (well, the wedding is real, but the relationship not so much), and all of the interaction between the two main characters and their family is absolutely hilarious. I enjoyed this movie far too much. If you ever wanted to see Sandra Bullock and Ryan Reynolds in a relationship (or even if you didn’t), this is probably your dream movie! I highly recommend it. To All the Boys I’ve Loved Before is just such a gorgeous movie. Maybe I’m crazy, but I find everything in it to be so pretty and aesthetically pleasing. The scenery is gorgeous, the people are perfect, and even Lara Jean’s clutter is aesthetic. It’s unrealistic and totally awesome. 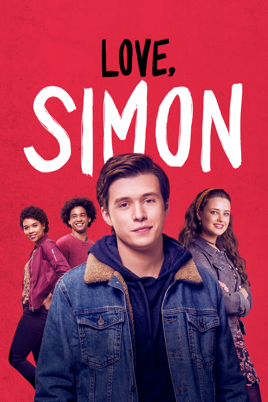 Other than Crazy Rich Asians, a movie with a similar aesthetic would be Love, Simon. The movie is super unrealistically aesthetic and beautiful and I absolutely adore it. The book is more realistic (and my favorite of the two), but the movie is super enjoyable regardless and I highly recommend checking it out and supporting this adaptation! Obviously, the huge trope of To All the Boys I’ve Loved Before is the letters. I know a couple of stories that feature letters, although none in the same way as TATBILB. In Everything All at Once, Lottie’s aunt has passed away and left her letters of things to do after her death. (This is also comparable to P.S. I Love You which is an amazing movie that made me cry and you should watch because it’s on Netflix- it’s also a book and I really need to read that) The letters are definitely a main feature in both of these books and I love how they play into both stories and their plot twists. If you’ve seen or read any part of TATBILB, you know that a huge part of it revolves around the sisters in the story. Lara Jean has to learn how to maintain her relationships with both of them and love them even though she is realizing that they are not perfect and won’t always be as physically close as they are when the movie first starts. A great comparison to this is Fangirl, as Cath has to learn how to be apart from her sister without sacrificing their relationship. 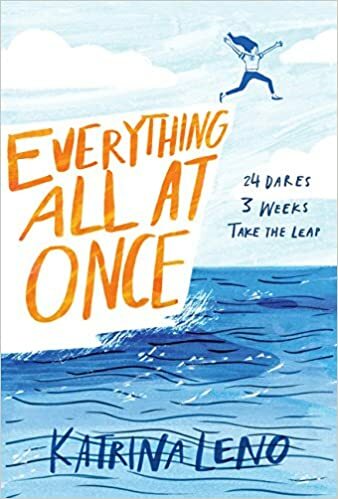 Honorable mentions for this category would definitely include both Far From the Tree by Robin Benway and I’ll Give You the Sun by Jandy Nelson. Those are both more about repairing distant or broken sibling relationships, but they carry many of the same themes and are equally amazing and entirely worth the read. And those are my recommendations based on To All the Boys I’ve Loved Before! I know this is a little different from the typical recommendations you see, and it’s not quite like anything I’ve ever posted before, but I quite enjoyed writing it and I hope you all enjoyed it as well! Definitely let me know how you feel about this style of recommendation (I would really appreciate your feedback). Other than that, have you read any of these books or seen the movies? Plan to? Have I changed your mind? 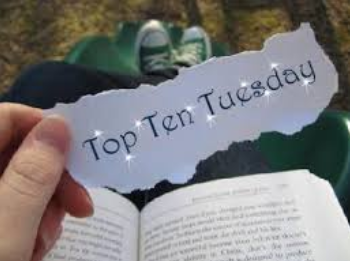 What are some of your favorite recommendations under these topics? Talk to me in the comments below – I’ll see you there! These are all great recs! I have shelved TATBILB, then, it got all hyped in Netflix so I had to read read it fast before viewing the movie. Both are good… I loved how Peter is as cute as I have imagined in the book. Yes, TATBILB is just so entertaining! I thought the adaptation was completely perfect and I’m so glad Jenny Han fought for the representation. Hey, no shame in that! It’s such a wonderful story. Thank you! Yaaaaaaas I adored this movie (though I didn’t really enjoy the book) and all these recommendations are awesome! What a great idea! Yay, I’m so glad you enjoyed it! Honestly, I haven’t heard of anyone who really hated the movie. I know a lot of people who had issues with the book enjoyed the movie a lot more. Thanks! Haha it’s probably because of Noah Centineo ❤ Also, I recently watched The Proposal because of your recommendation and I totally adored it! I’m on a huge rom com kick right now! By the way, I’m having some difficulty following your site- it’s fine on WordPress, but I usually use Feedly and your latest posts don’t show up? Do you have a separate RSS feed or anything like that? 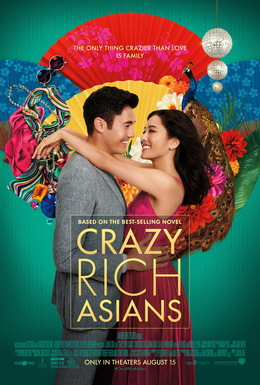 I haven’t seen Crazy Rich Asians yet but I probably should since it’s set in my country! Thanks for the other rom com recs, I NEED them like air right now haha. Hmm I’m not sure what’s wrong with my site, I don’t have a separate RSS feed or anything. I just have the basic WordPress features. I really hope you enjoy it! The scenery is just so gorgeous- money can’t buy happiness, but it can definitely buy a lot of pretty things 😂 Rom coms are the absolute best. I need 95% more of them in my life. Set it Up on Netflix is also super good (it’s new but fabulous). I have no idea how that would even be the case; it’s probably not an issue on your end. I’ll try and figure it out with Feedly because it’s most likely something with that site. Ooooh yes I also watched Set It Up recently because of my previously mentioned rom com kick! I loved it too! And hmmm I’ve never used Feedly so I’m not sure what the problem could be. Ah yes! Rom coms are the absolute best. I’ve never had any issues with Feedly so it’s quite unfortunate that it’s giving me troubles now. It’s so hilarious! Haha, what’s not to love? I loved TATBILB (the movie) ❤ It was just so cute and feel good and made me all fuzzy inside! I can’t speak for the book but I’m sure it’s just as lovely. 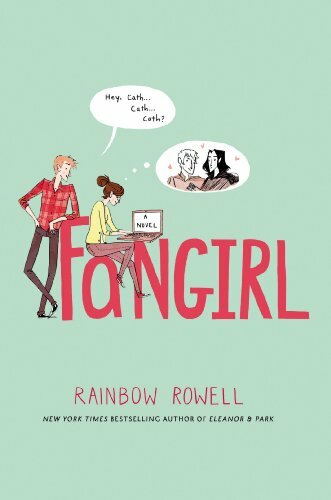 I didn’t like Fangirl, though, but one of the things that I did enjoy was Cat and her sister’s relationship and how real it felt. In the end, there’s no stronger bond than that of sisters! I can’t wait to see Crazy Rich Asians, it sounds like the perfect movie to watch with your girlfriends 🙂 I also loved loved loved The Proposal! In between Ryan Reynolds, Sandra Bullock and Betty White, I don’t know who won my heart first… They were amazing and it was just such a fun movie! Yay!! I can’t wait for the movie sequel to be released. To be totally honest, I don’t remember the book series very well, so I might have to give them a reread before that happens. Crazy Rich Asians IS perfect to watch with friends! I need to rewatch The Proposal at this point, haha! Thanks for the lovely comment! Oh my gosh, I absolutely loved the books and the movie. I was so impressed with how great of job was done with the movie! I love all of your recommendations and will have to check them out! I’m so glad; I can’t wait for the sequel to be released! I hope you enjoy the recs!